You missed them the first time around because you were just too busy. Don't miss them this time. 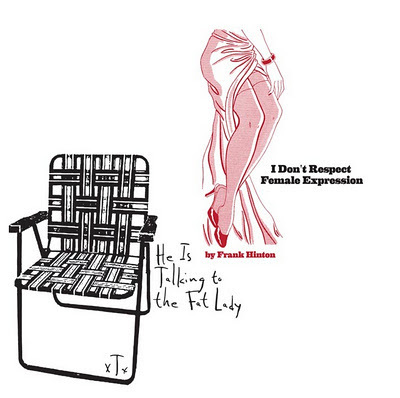 The 2nd pressing of xTx's He Is Talking To The Fat Lady and Frank Hinton's I Don't Respect Female Expression awaits your pre-order. Bundle up this baby and it's only $9.